It begins with four actors. They’re not characters—not just yet. Each actor has rehearsed two roles; which one they’ll be playing at each performance is left up to director Kelly Teaford, and is only revealed at the top of the show. Yet in a production defined by the actors’ transient inhabitation of their characters, Battalion Theatre’s examination of the extremes of dependency thrives on how distinctly realised these characters come to be. Written by Darren Cauley, Unhealthy centres on two roommates in their twenties: Celia, an unemployed journalist struggling with an eating disorder; and Michelle, a popular actress whom Celia both relies on and deeply resents. But when Michelle brings home her fellow actor Kurt one night, only to find her overly-adoring fan Maycomb waiting to see her, a series of events is set off, driving Celia and Michelle’s tumultuous relationship to a head and thrusting the already erratic Maycomb further into the dangerous depths of obsession. But this series of events isn’t really what’s shaping the piece—it’s the tangled web of self-serving interdependency that lies underneath. These dependencies range from Maycomb needing Michelle’s attention to have a sense of self-worth, to Michelle compulsively solving Celia and Maycomb’s problems for them in order to feel superior in comparison. There might be a linear storyline, but with each character viewing the intertwined relationships at its core solely through the lens of his or her own personal needs, Cauley’s play is less of a singular reality than a cacophony of diverging perceptions. The struggle of having characters clinging so desperately to separate viewpoints, though, is that until there’s a plot development to shift the action, the characters tend to talk in circles at each other, constantly reiterating opinions that never seem to evolve. And building a storyline atop this network of complex relationships means that though the play’s final scenes are its most gripping, the ending doesn’t quite feel satisfyingly resolute. Of course, toxic relationships in reality usually don’t end with satisfying resolutions, and one of the strengths of Cauley’s script is how it couches the heightened drama in realism. The dialogue, if drawn out at times, has an unwrought believability to it that feels both casual and precise. The concept of a rotating cast is one easily prone to seeming gimmicky, but the hardworking actors here ensure it actually works well. At this performance, Laura Piccoli, Kullan Edberg, Gerrit Thurston and Dan Gonon played the characters of Celia, Michelle, Maycomb, and Kurt, respectively. Though it’s impossible to judge the whole rotating scheme on this one iteration, this specific combination felt as though the cast had been perfectly set into place. Piccoli and Thurston were particular highlights, with the latter’s portrayal of Maycomb imbued with an affectation of disturbed, awkward determination that gave the already unstable character an added sense of captivating volatility. But these are also the most complex roles in the play, and with Edberg and Gonon delivering strong performances of their own, it’s fascinating to consider how each actor would play the other role. 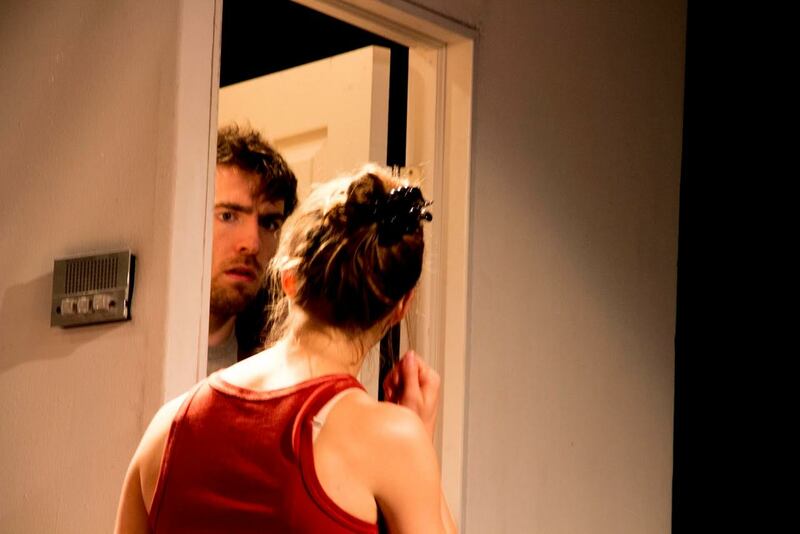 Over the course of the play, Unhealthy’s characters discover that their over-dependency on others often results in them losing control of themselves. The play’s dependence on these characters, however, ensures that even in the face of the storyline’s escalating madness, this fundamentally human piece never loses its way.